SKS SCOPE MOUNT - FACTORY OEM PART ** $40.00 *** WITH FREE SHIPPING!!!! CREDIT CARD SAME AS CASH!!!! 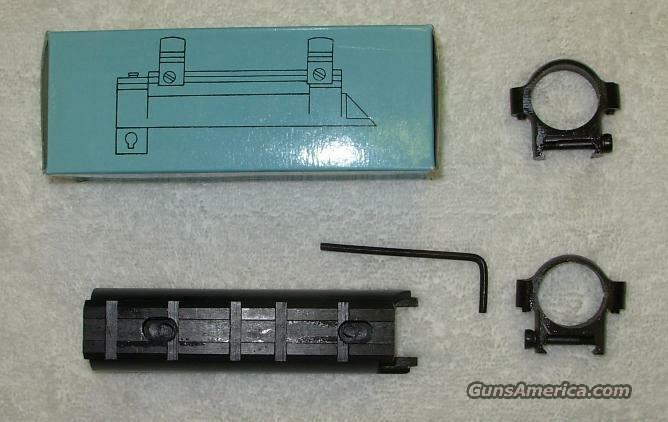 Description: SKS SCOPE MOUNT WEAVER/PICATINNY TYPE RAIL - Factory OEM part. See through iron sight capability. No drilling or tapping required. All steel construction. Comes with 1 inch STEEL RINGS. Original OEM part Fits all SKS's, Chinese, Russian, Romanian, Albanian, Yugoslavian, East German, Etc. NEW IN BOX with instructions. $40.00 WITH FREE SHIPPING!!! CREDIT CARD SAME AS CASH!!! Trades Accepted: CASH, CREDIT CARD or CHECK.